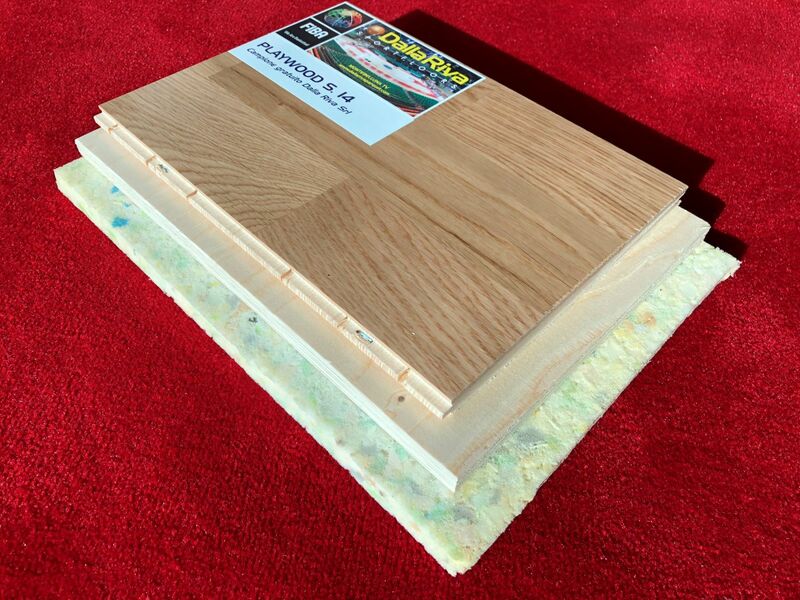 Playwood S.14 is a better solution compared to synthetic flooring; it in fact has many advantages in terms of durability, resistance, easy maintenance, elasticity and antislip properties. But not only… The initial financial commitment which is significantly different, is offset over time. While a synthetic floor, once worn needs to be dismantled, wood flooring can return to its original state by simply sanding it. Laying parquet is easy to perform and reduces stopping sports activities to a minimum when restructuring the existing gymnasium. 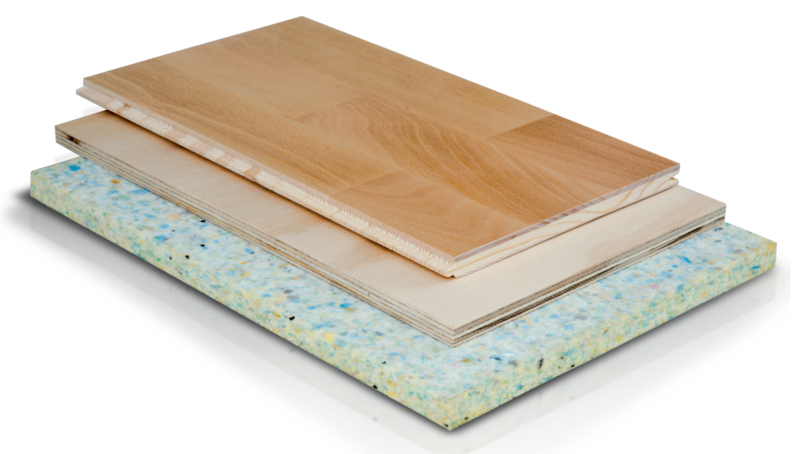 Playwood S. 14 in oak is the ideal solution for those who want to convert a synthetic flooring (linoleum, PVC, rubber, etc.) to the parquet. This package is in fact equipped with certification EN 13501 (reaction to fire) and can be overlying on the existing syntethic pavement and avoiding complicated and costly operations of removal and disposal. The new fund elastic has the same characteristics of a normal model Playwood and can be simply placed over the layer synthetic although the latter turns out to be severely compromised by the wear time (cuts, bulges, necklines, etc.). 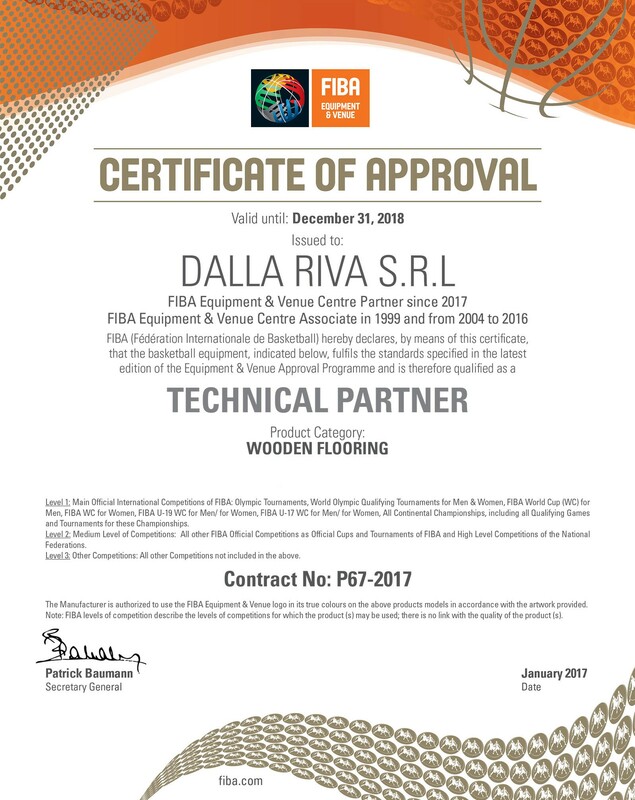 Choose the best, choose Dalla Riva Sportfloors, to win in your sport.